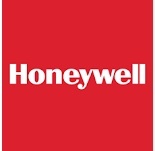 About Us:- Honeywell International, Inc. is an American multinational conglomerate company that produces a variety of commercial and consumer products, engineering services and aerospace systems for a wide variety of customers, from private consumers to major corporations and governments. - Should be able to understand and implement test requirements for a Unit Under Test. - Design test hardware/software as per test requirements. - Capable to support hardware design, layout and provide probable failure scenarios. - Assist test development with diagnosis, troubleshooting and resolution of production issues. - Demonstrate accountability of Solenoids/Sensors/Obsolescence test functional area. - Active involvement in Domain’s strategic initiatives to achieve business goals. - Position also requires working on multiple projects/programs concurrently in a fast paced environment. - Primary customer interface for all projects and relevant production issues. - Support statement of work, drive estimates and risk handling. - Expected to mentor trainee engineers, drive innovations and support write technical white papers. - Keep track of the technology trend for the work areas. - Develops ways to improve test methodology and processes within the work group. - Drive & deploy standardization of test solutions, and User Experience (Human Factor) initiatives in Test Solutions.